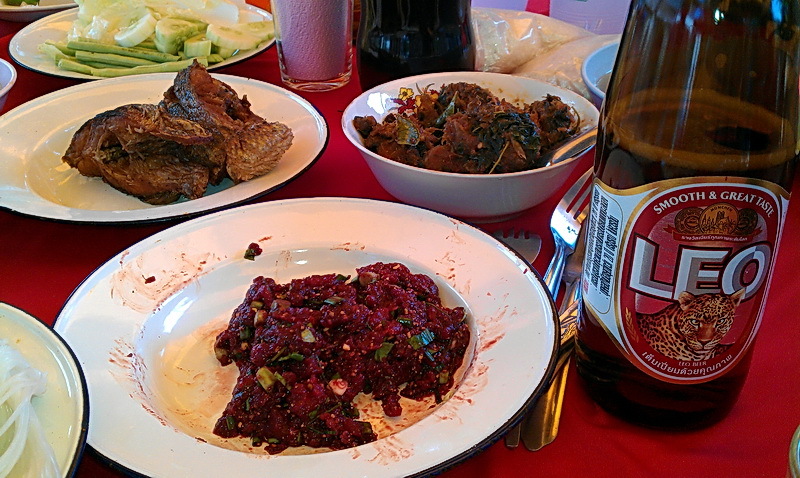 Larb goi (a local steak tartare) with Leo beer, breakfast of champions. 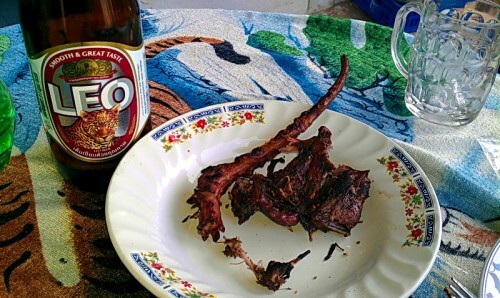 Grilled rat tail, overcooked jungle fowl, and Leo beer. 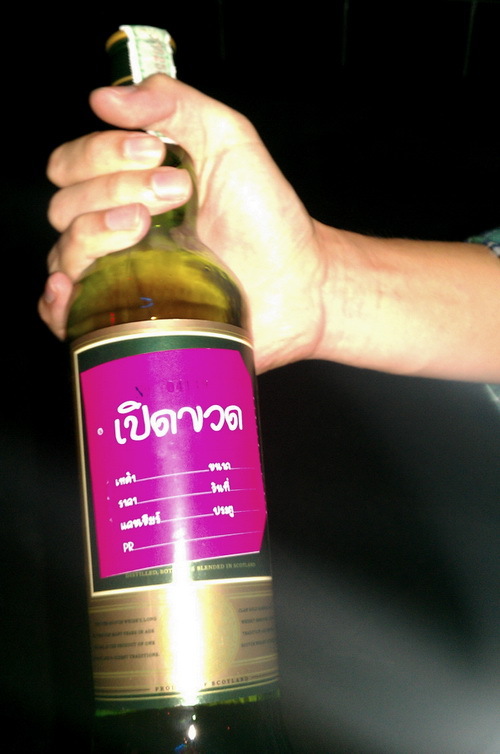 When you bring your own bottle to Kaew Kant, the most happening local live house, they mark the bottle with this sticker (it’s a bottle of Clan Gold, which I haven’t covered here yet). 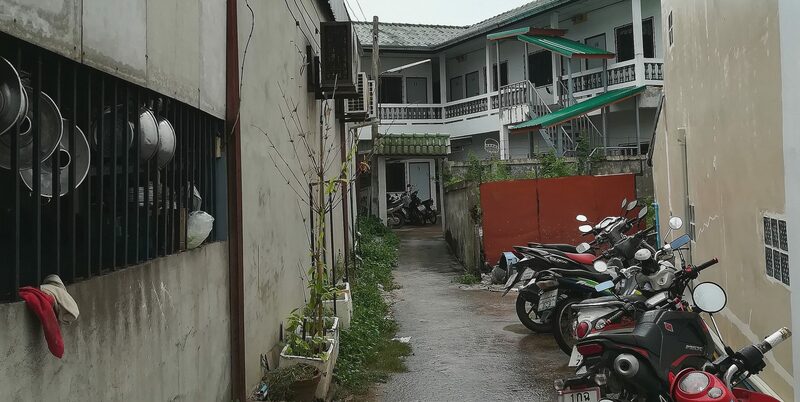 I had these photos up on Facebook, but wanted them here as well. Is that seriously a grilled rat tail? I do hope that’s actually a tentacle. Yep, it’s a rat tail.